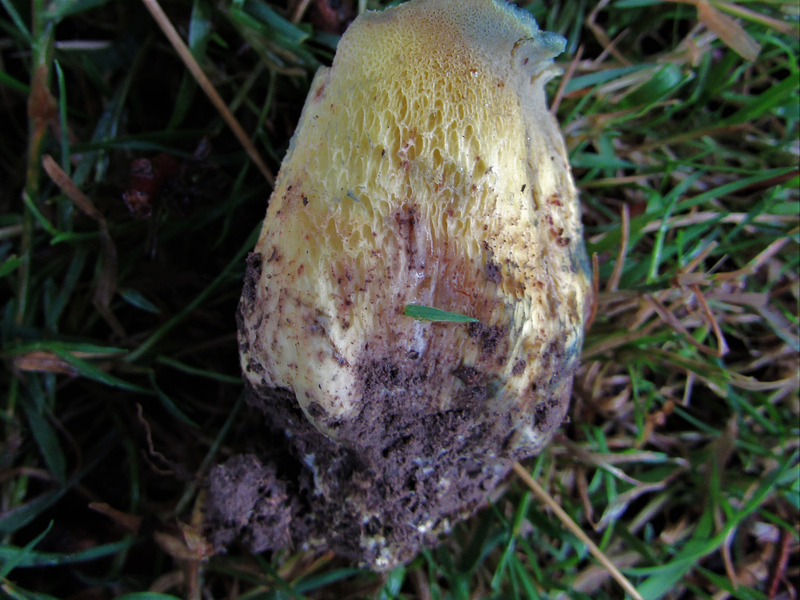 The Rooting Bolete, Caloboletus radicans. 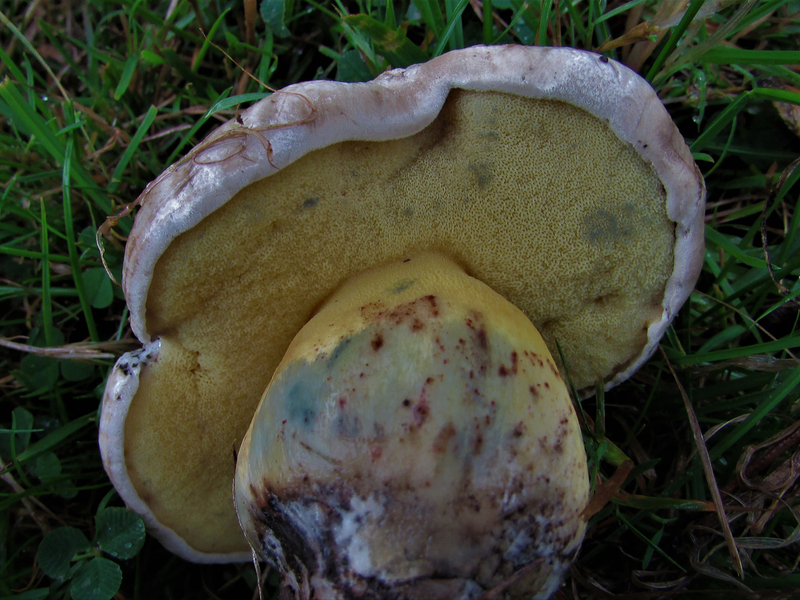 Although not poisonous this mushroom is so bitter it will ruin any dish you put it in. 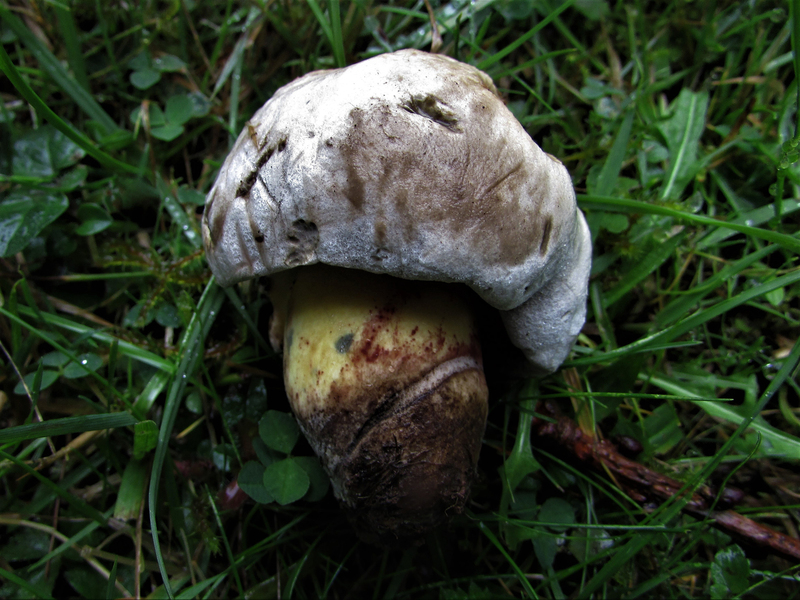 Off white to grey/brown, darkening with age. 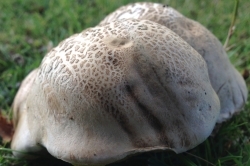 Can get very big and uneven and will show cracking on the surface of the cap. 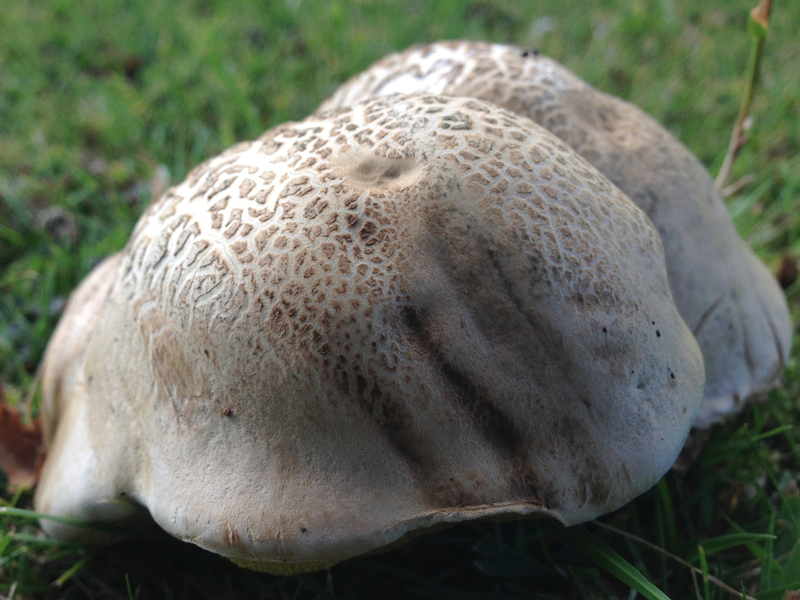 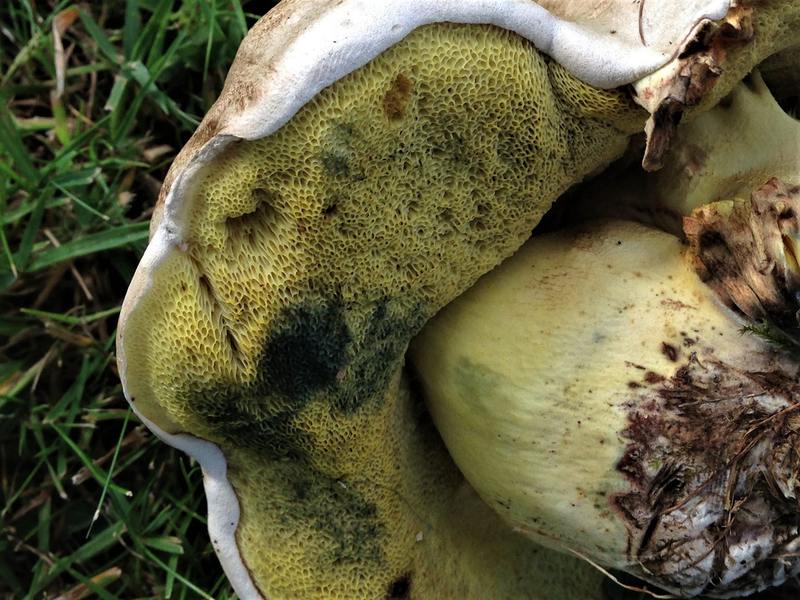 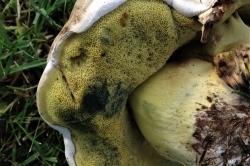 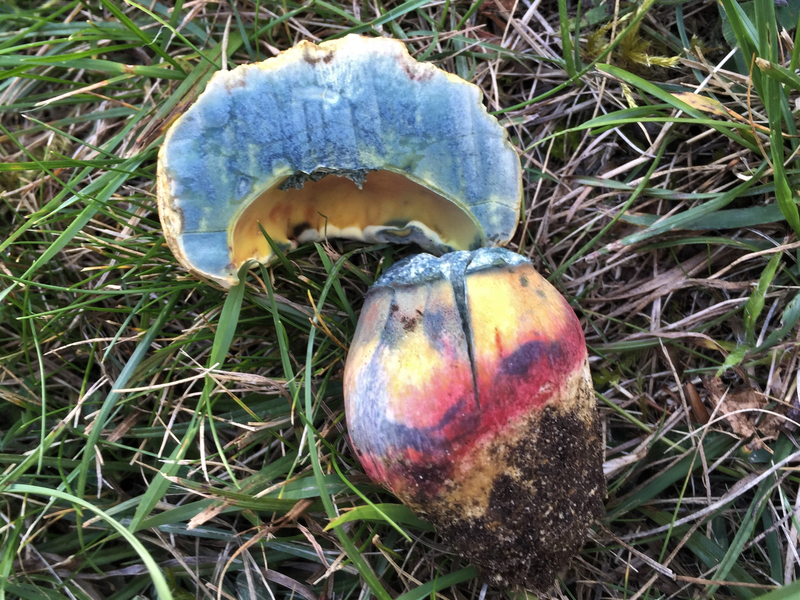 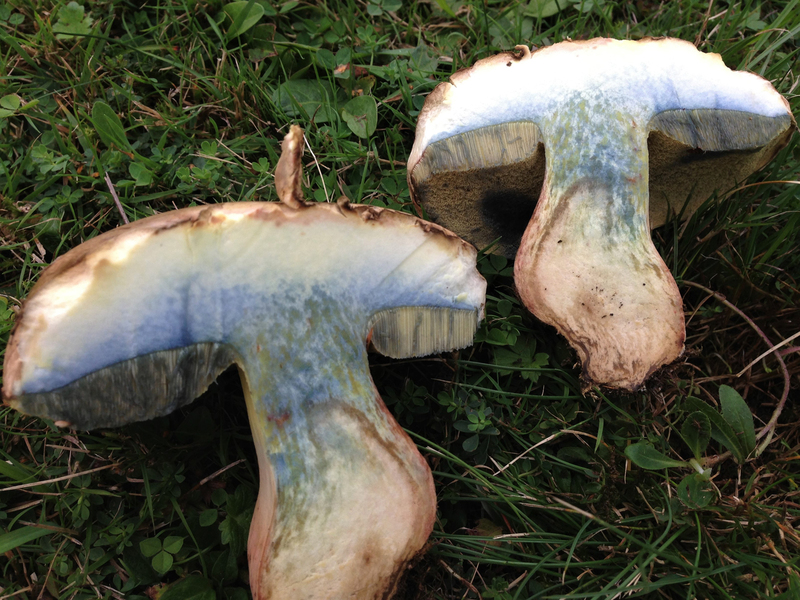 Does not have gills but lemon yellow, tight, sponge like pores which bruise blue. 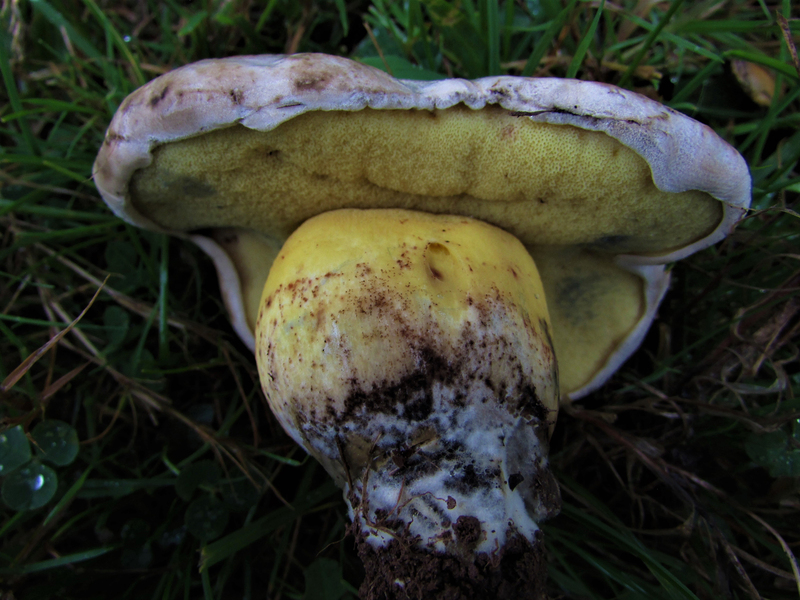 Lemon yellow at the top getting browner and ‘dirtier’ towards the swollen, slightly rooting base. 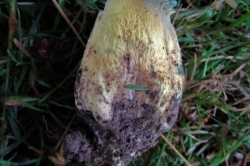 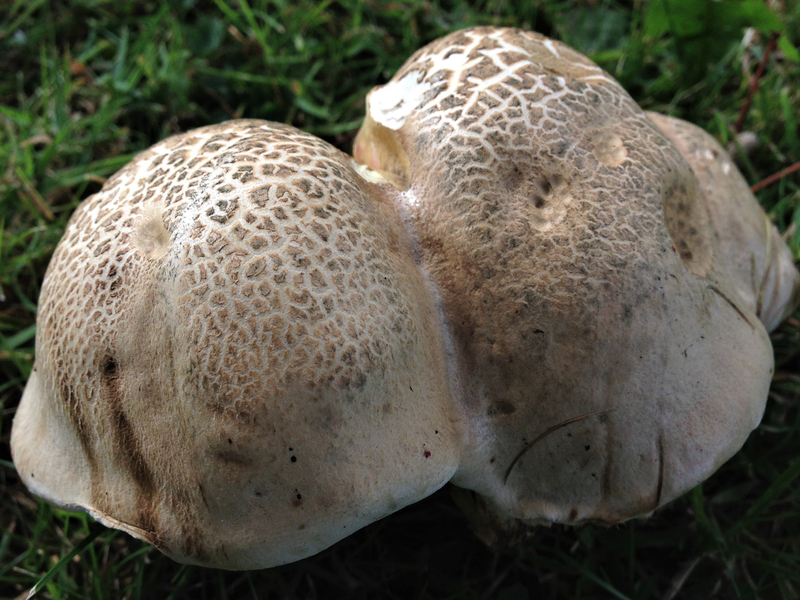 The stem has a light coloured mesh which is best seen towards the top. 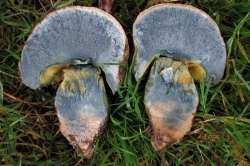 Yellow when first cut but quickly changing to off white in the cap and then turning blue. 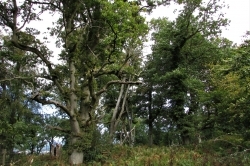 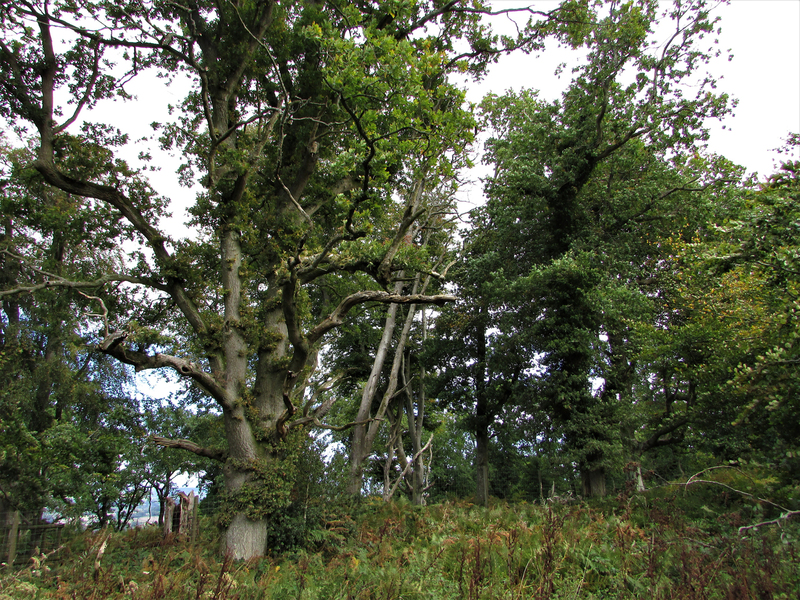 Usually with oak and beech but will grow with other deciduous trees. 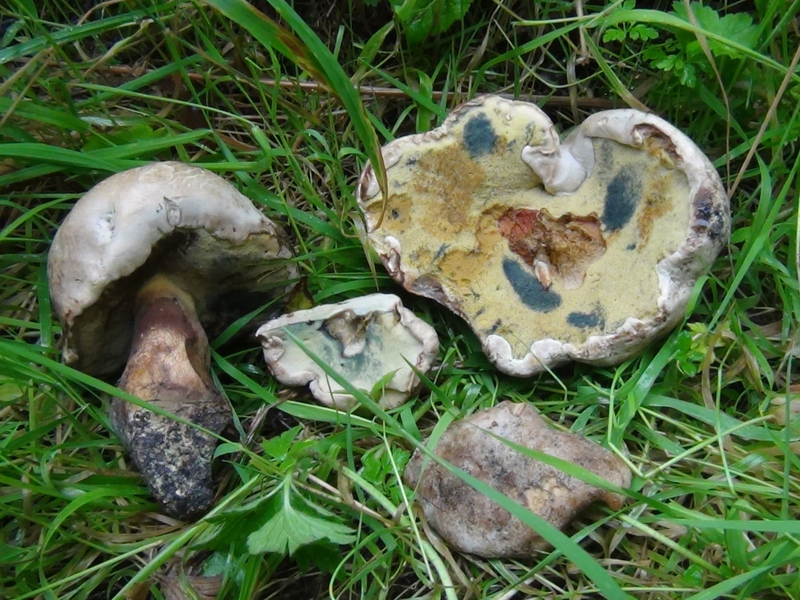 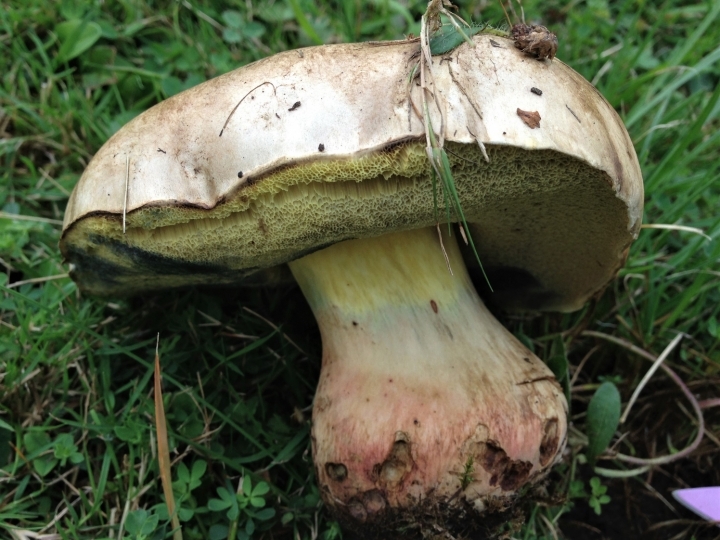 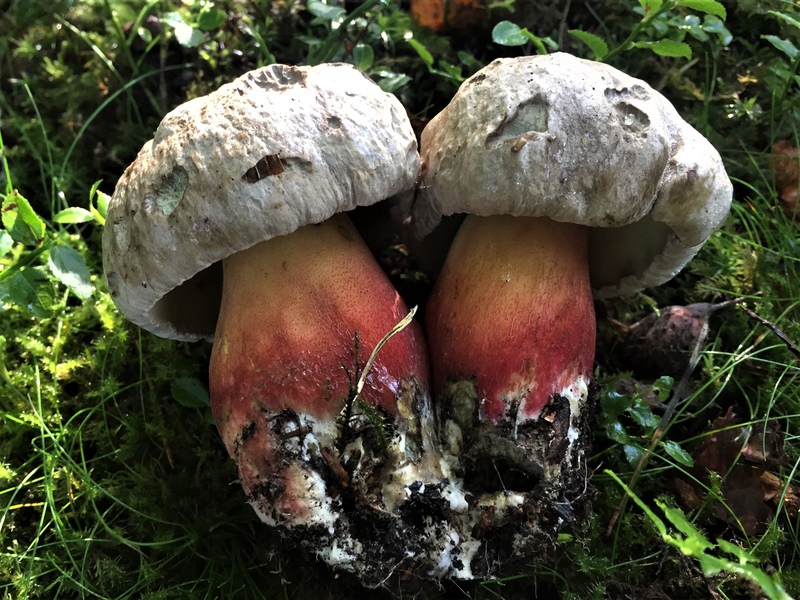 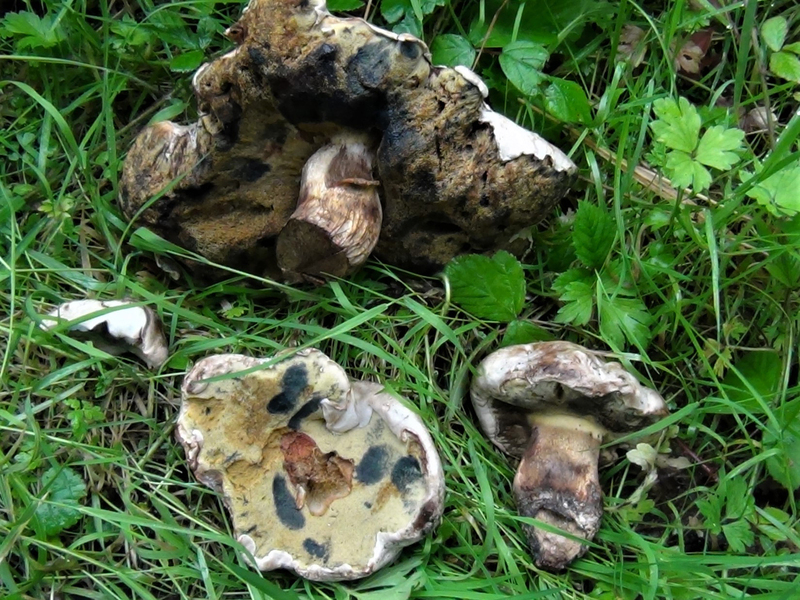 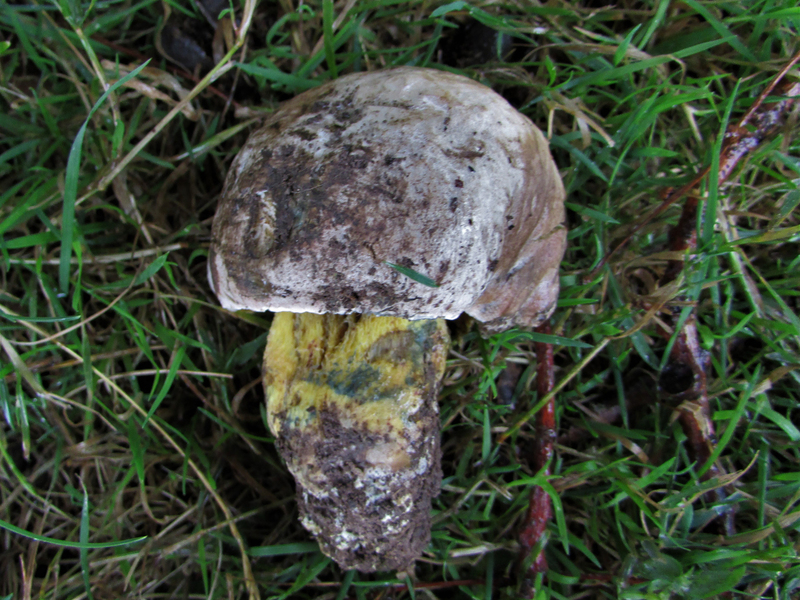 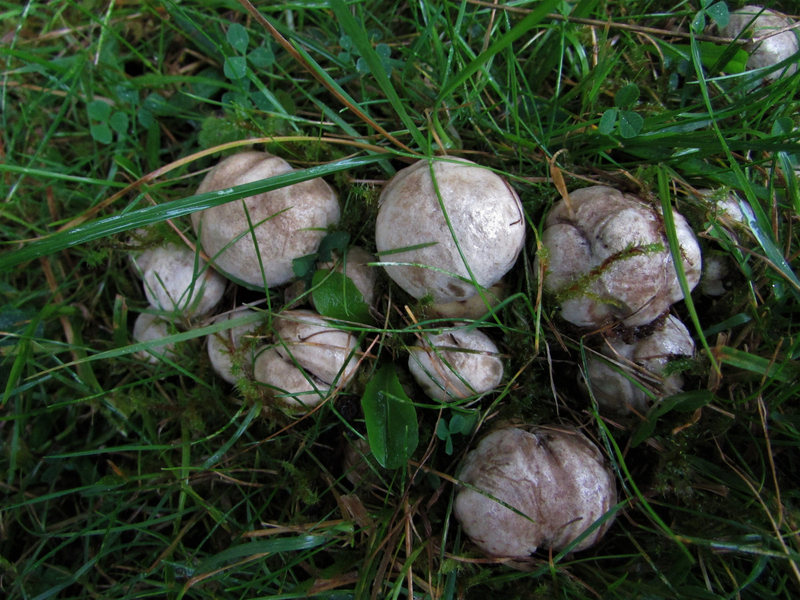 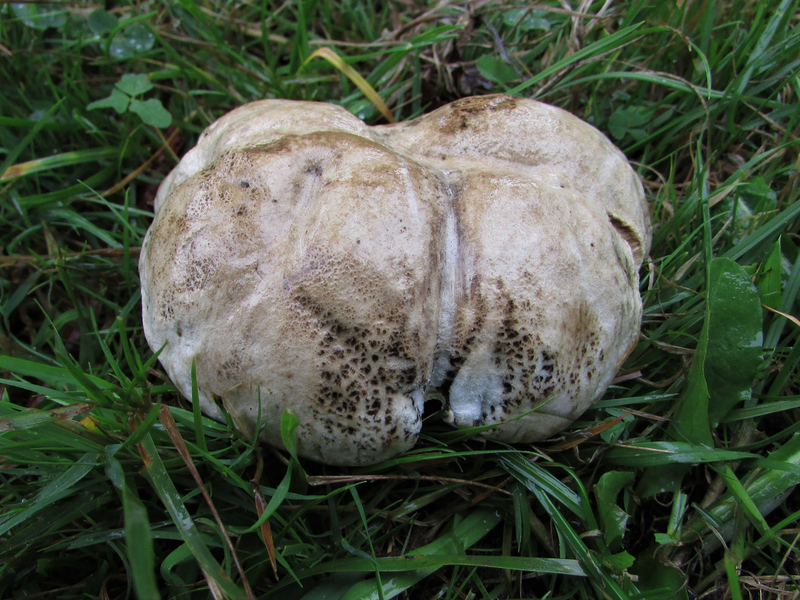 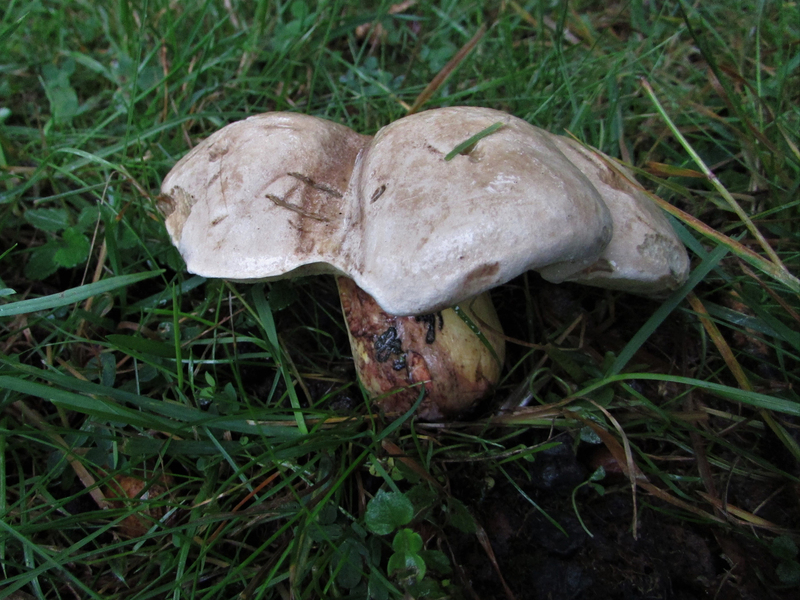 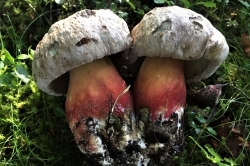 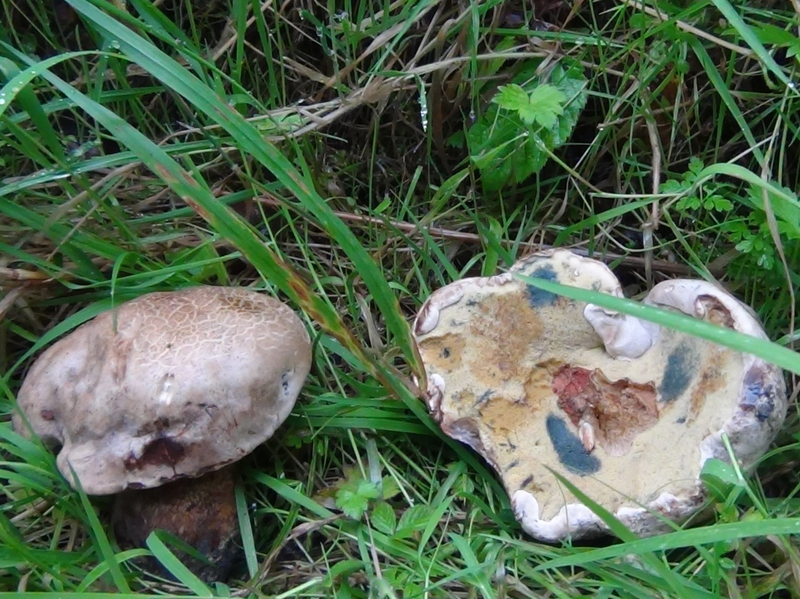 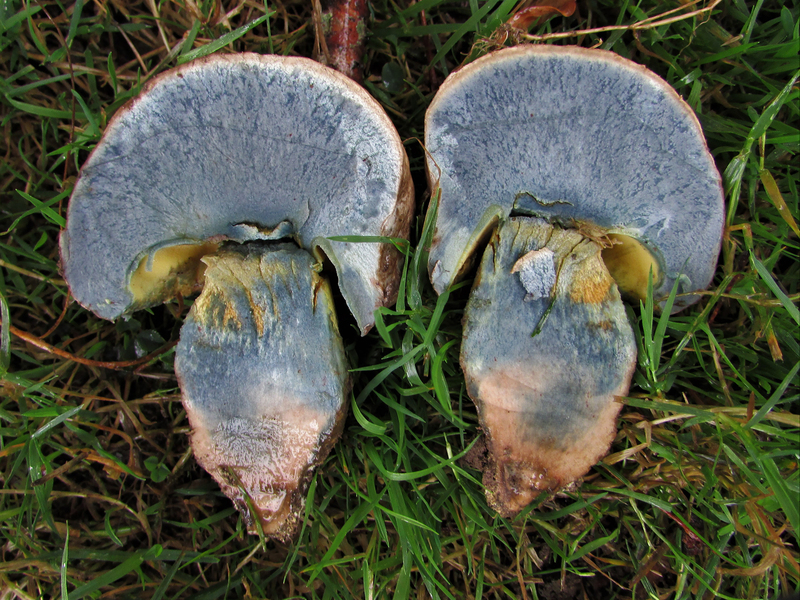 Other Boletes, particularly Boletus calopus, pictured.